Bourbon Habanero Honey Chicken Wings are a sweet, spicy and boozy combo that is finger-licking good, right to the bone. 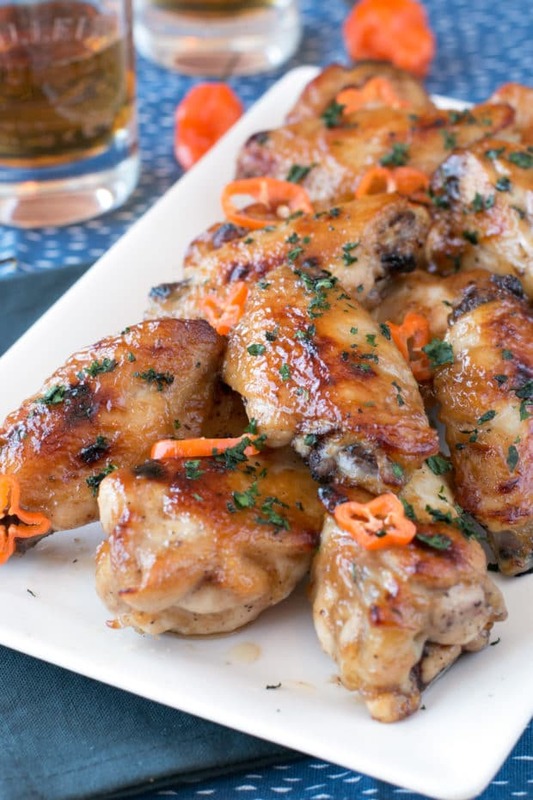 These easy-to-make wings make any celebration more festive! 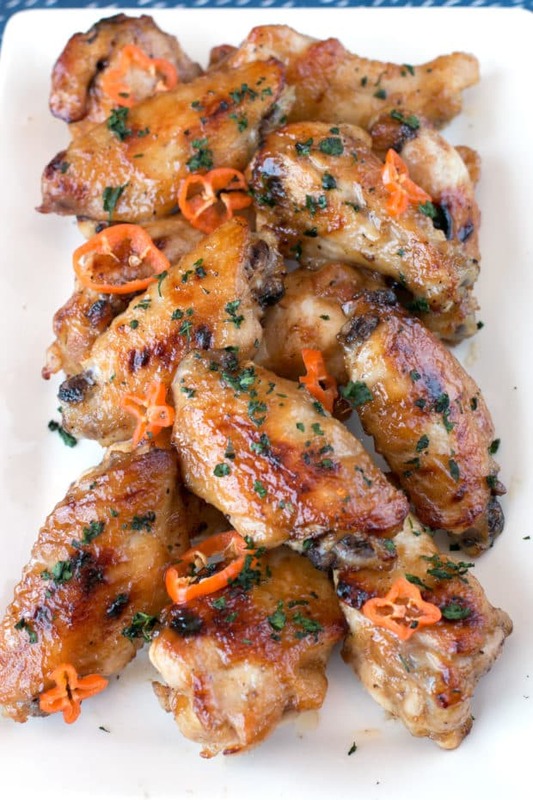 Whether you are celebrating a promotion, an engagement, a birthday or your team getting that big win, the killer flavors these wings bring to the table will have everyone grabbing for more. Just make sure you have the napkins ready! I used to hate to get messy while eating. The idea of having food all over my face or clumsily spilling food on my clothes would send me into a bit of a panic. I would avoid messy foods at all costs because I am a pretty uncoordinated eater. If you give me something messy to eat, I will make that mess. As the years passed and I grew out of my awkward phase (well, kind of grew out of it), I started to realize one thing. Messy food tends to be the best food. Just think about it for a second. Wings, ribs, giant gooey burgers, things stuffed with intense amounts of cheese, ooey gooey chocolate brownies, the list goes on and on. It was then that the wings, ribs, and other messy foods made a big comeback in my kitchen. Wings are probably the easiest of the messy foods I love to make. 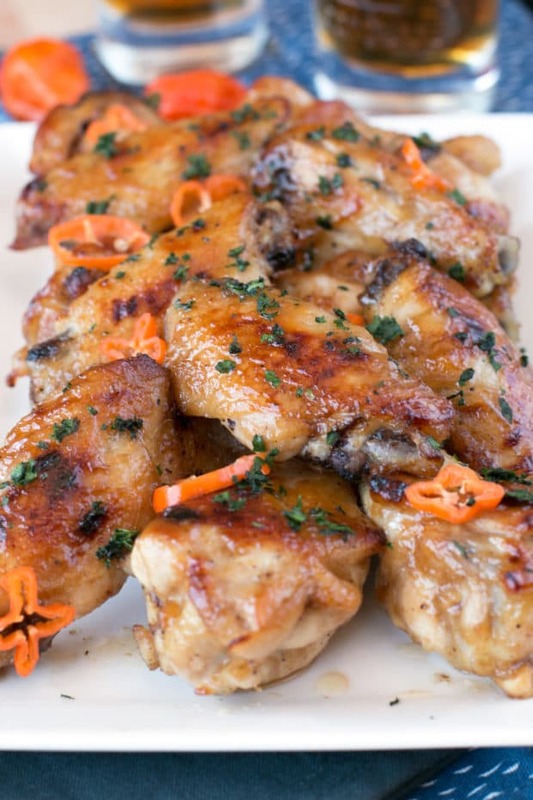 You simply make a sauce and bake or grill up the chicken wings with it. 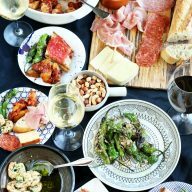 It’s a snap to make for parties or even a weekend lunch if you feel so inclined. 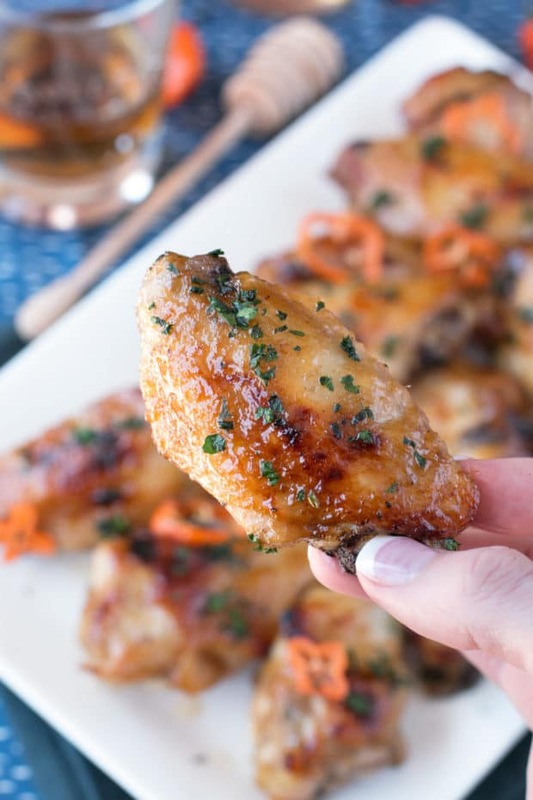 I looooooooove getting spicy with my chicken wings (as seen in my Spicy Miso Glazed Chicken Wings and my Grilled Honey Sriracha Wings), so it’s no surprise that I packed in the heat with these tasty little wings. 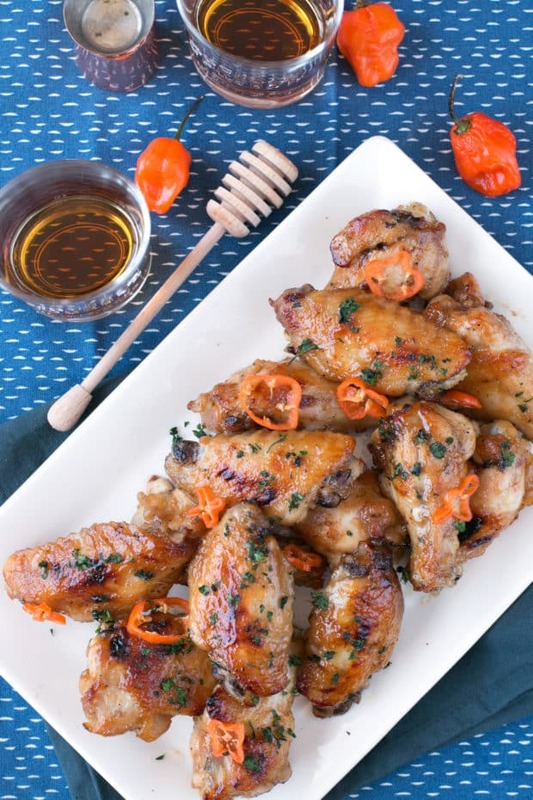 The bourbon habanero honey sauce is stupid simple to make and since you are baking off these wings, you don’t have to worry about putting a ton of energy into making the recipe itself. All you have to do is baste the wings a few times! The most important part of this whole recipe to remember is the final baste and broil. That’s what gets the skin nice and crispy! Just keep an eye on them because they will burn if you leave them in there for too long. Serve them up with blue cheese dressing if you need to cool them off a bit! There’s a good amount of heat but it should burn your entire mouth off. Instead it’s the right amount of sweet and boozy heat to give your taste buds a tickle of deliciousness. Just grab the napkins and be prepared to get messy. Trust me, it’s totally worth it! 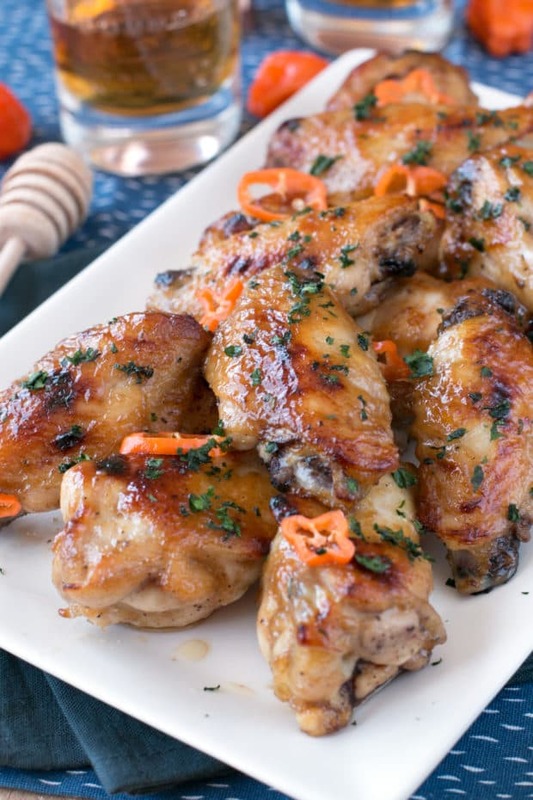 Pin this Bourbon Habanero Honey Chicken Wings recipe for later! 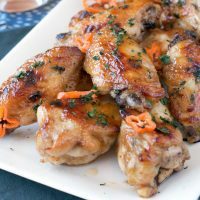 Sticky, spicy and boozy, these wings pack a mean punch of flavor with a hint of sweetness at the end! PLUS they are ridiculously easy to make and serve up for a party. Preheat oven to 400 degrees F. Line rimmed baking sheet with parchment paper. Set aside. In a small saucepan over medium-high heat, melt butter for the sauce. Once melted, whisk in flour and cook approximately 1 minute until brown. Stir in the rest of the sauce ingredients. Cook until thickened, approximately 1 to 2 minutes. Turn heat to low and keep warm. In a large bowl, add chicken wings, melted butter for the wings, vegetable oil, salt and pepper. Toss to coat. Add wings to the lined baking sheet. Brush with sauce. Bake wings for 25 minutes, flipping and basting them with the sauce halfway through. Remove from oven. Brush with a final layer of sauce. Broil 4 to 5 minutes until the skin is brown and crispy. Garnish with sliced habaneros, and cilantro. Serve immediately. I, too, tend to be the messy eater of the bunch. And now you’ve got me craving wings, which I almost never crave. Because spicy + boozy + sweet is a combination I cannot help but ADORE. Hi! Just to let you know, the instructions have sliced habanero peppers listed by they are not in the ingredient list! Oh gosh thanks for pointing that out! It’s updated now! 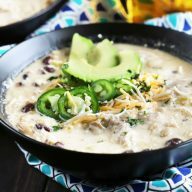 This recipe was beyond amazing! Highly recommend it! 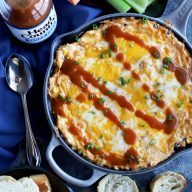 One of our favorite party appetizers ever!